The revelry and merrymaking of Christmas continues with the New Year celebrations around the entire globe. Goa, in India has been the most ideal venue to spend the New Year’s Eve amid fun and frolic, due to its inherent party culture that has been continuing to attract tourists since ages. Festivity is well mixed in the air of Goa that automatically turns New Year celebration into a non- stop partying moment in the cool breezy beach nights. Each year Goa receives the honour of holding one of the biggest electronic music festivals in India called Sunburn fest, but this year Pune has gone lucky! 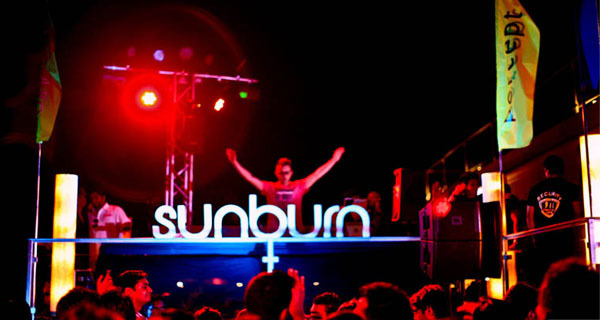 The Sunburn music fest 2016 is going to see the dawn of Sunburn Hills in Kesnand District of Pune. The city of Pune is all set to greet and welcome the most awaited music fest of the year. The jubilation of Sunburn 2016 will take place at Sunburn Hills, which is a privately owned land covering an area of 90-acres. The four day- long event will begin from 28th December and will last up to 31st December. Big names and big shots like Armin Van Buuren, Afrojack, Dimitri Vegas, Axwell Ingrosso, and Like Mike will be stealing the spotlight and top-ranked DJs will give a musical retreat to the passing year with vibrancy of Sunburn 10. Artistes like AJJA, Angerfist, Dannic, Eats Everything, Mattn, Nucleya, Tom Swoon, among others can also be spotted on stage. The festival will have different genres of music, ranging from house to drum 'n' bass and a lot more to offer to the audience coming from various parts of the world. Hotels and resorts are all decked up in anticipation of the tourist influx and feverish competition ensues to entice the vacationers with exciting New Year offers. New Year parties in Pune are going to be full of live music, good people, happening dance performances, excellent food and amazing drinks. So, this year you are simply not allowed to waste time in deciding about your destination. Just pack your bags, take the first flight to Pune and lose yourself in the New Year celebrations with Sunburn 2016. The line up of this year's festival includes the hottest names of the international dance music scene . Jalebee cartel and many many more.